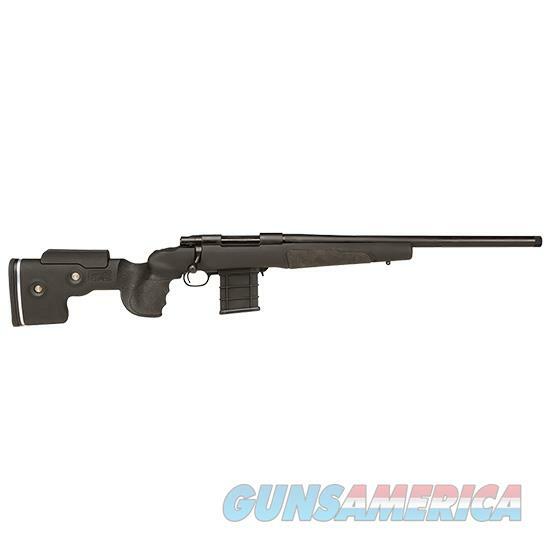 - Length of Pull: 13.18-14.37 - Length: 39.5- 40.75 - Weight: 9.1LBS - Color: BLACK - Howa 1500 Heavy Barreled Action - GRS Berserk Stock - Pillar bedded 15% fiberglass reinforced Durethan - Optimized stock contour for use of rear bags - Rubberized grip and forend for better friction in wet conditions - Flush cup sling mounts and push button sling loops - Forend sling mount for mounting bipods - Push button adjustment for comb height and length-of-pull - GRS Rifle comes standard with 10 round magazine conversion kit - The material is a 15% fiberglass reinforced Durethan. - The composite stock will be made in one size black colour and in right hand configuration only. - The grip and forend is 5% slimmer than the Sporter varmint.